Traveling is always a good idea and what better than traveling to a place that is serene and surrounded by nature! It’s a delight for the photographers and a form of meditation for travelers. It’s not just the world of fantasy books that have fairytale places. You can visit magical places all around the world. The world is a beautiful place and it is more so in its villages. If you are a fan of fairy tales and the magical feelings they evoke, then these 10 destinations should be on your bucket list! Whether it’s snow-capped mountains, crystal clear lakes or even quirky film sets, each of these pretty villages have something unique to offer. From Japan and China to France and Czech, these are just some of the world’s most picturesque villages to add to your travel list. No concrete jungles in sight and Instagram opportunities at every moment. The pictures might appear out of a fairy tale, but they are as real as it gets. They are close to nature and promise a lovely hideaway. So ditch your life in the city for once and board a plane to get to these lovely villages. If you have a fairy tale city to share, send us your photos-we’d love to see it! We promise you won’t regret. Imagine: snowcapped mountains, lush forests, and a placid lake. Oh, and this village was a favorite hideaway of the philosopher Friedrich Nietzsche. Built in 1908, more than half of the guests here are typically Swiss, with certain families that have been visiting the village every year for generations. The interiors carry that Old World charm, and the landscape offers hiking opportunities in the mountains or enjoying a motorboat ride on Lake Sils. The village has been preserved as just the way it was a 100 years ago, and the only way to get around is by a horse cart or foot (no cars allowed here!). This village has picture postcard qualities as it is tucked in the stunning and scenic English countryside. The Cotswold cottages, the lush greenery, the bubbling waters of River Coln, all make Bibury an extremely picturesque place. 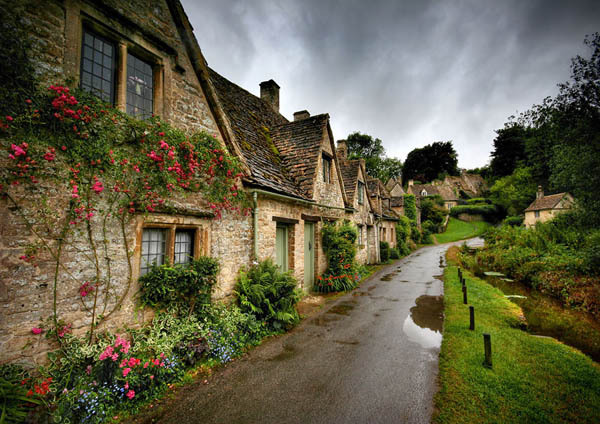 Bibury can be easily reached from London by means of bus, taxi, or private cars. If one wants to travel through railway then the nearest station to reach Bibury is that of Kemble, from where cabs are easily available to reach this charming village. 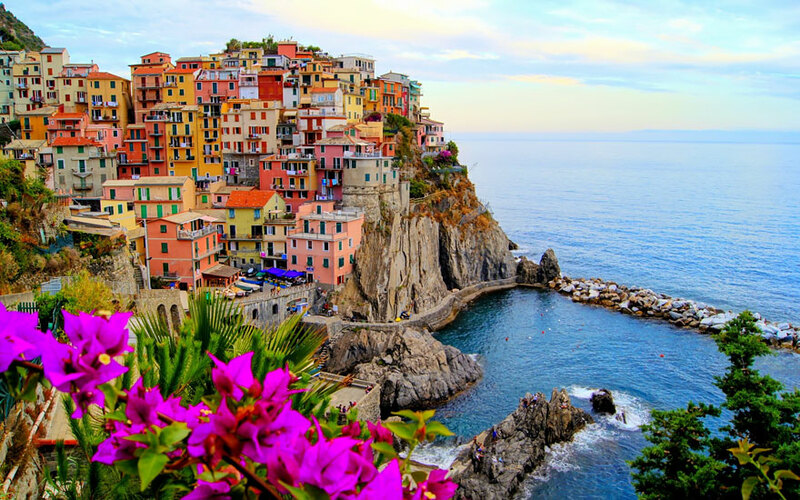 Manarola is a beautiful colored town part of Cinque Terre in Liguria. This lovely village is huddled on and down the sides of a rocky outcrop, with the tall colorful houses leading down to a small harbor and piazza below. Some of the houses on the water side of the village look as if they might slip into the sea at any moment, but have probably looked the same for the last 500 years so we imagine they are not at any risk! Go back in time and savor the magnificence of this interesting little town. Roosted on a volcanic tufa edge, it is otherwise called Little Jerusalem for its Jewish Quarter which is a must see. 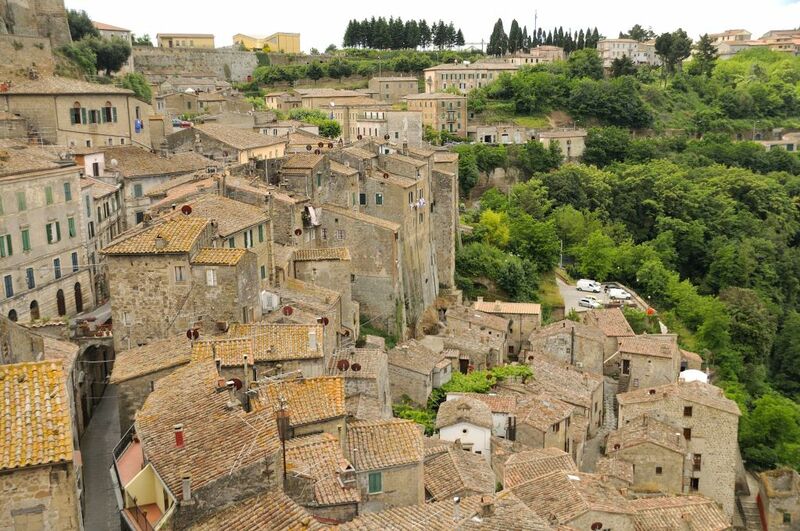 Meander down Pitigliano beguiling little lanes – this old world town is an absolute treat. In Czech towns and villages, you’ll find a simple joy of life. 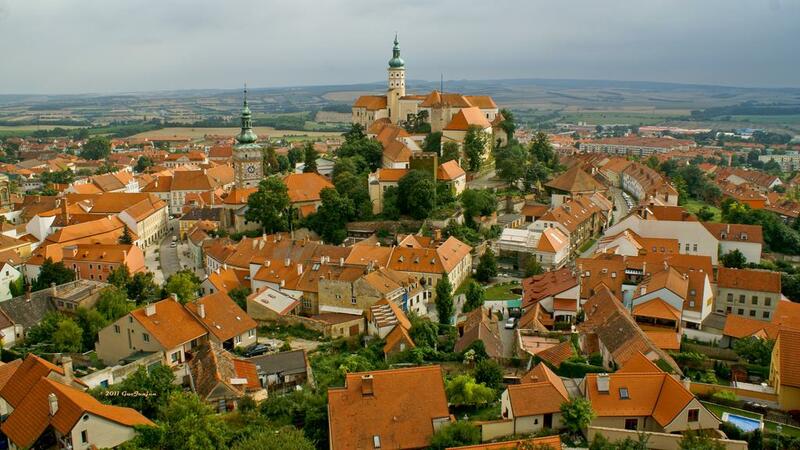 Get beyond Prague and explore the country’s medieval town- Mikulov. The rugged woods and hilltop castles from this village will make you feel as if you’re walking through the garden of your childhood dreams. 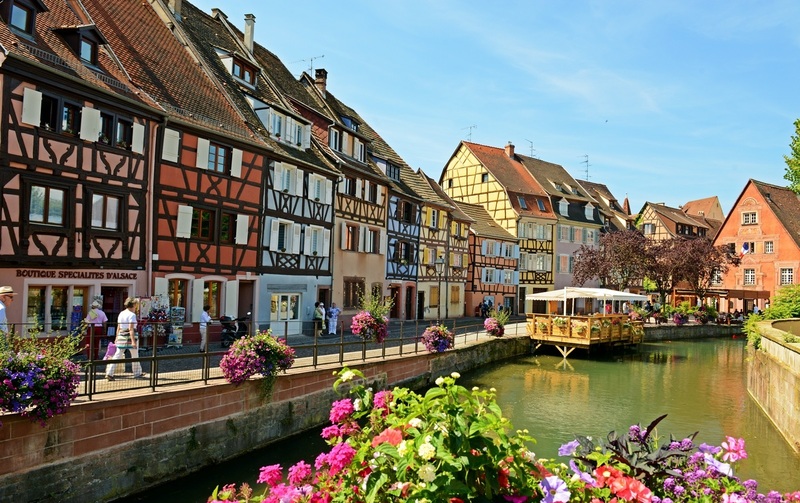 The little Venice is the name given to the course of the Lauch in Colmar. This name probably came from the original line of the houses on both sides of the river, which serves the southeast of the city. Since then, it’s often been referred to as “Little Venice” due to the waterways that wind through medieval streets. This well-preserved Alsatian village is also considered the capital of wine in the district, known for its exquisite aromas. It has both German and French influences – you’ll find local bakeries selling kugelhopf and croissants, while eateries often specialize in sauerkraut and foie gras. Various architectural styles can also be seen, from French Neo-Baroque to German Gothic. The village of Portree, situated on the east side of Skye overlooking a sheltered bay, is the capital of the island. 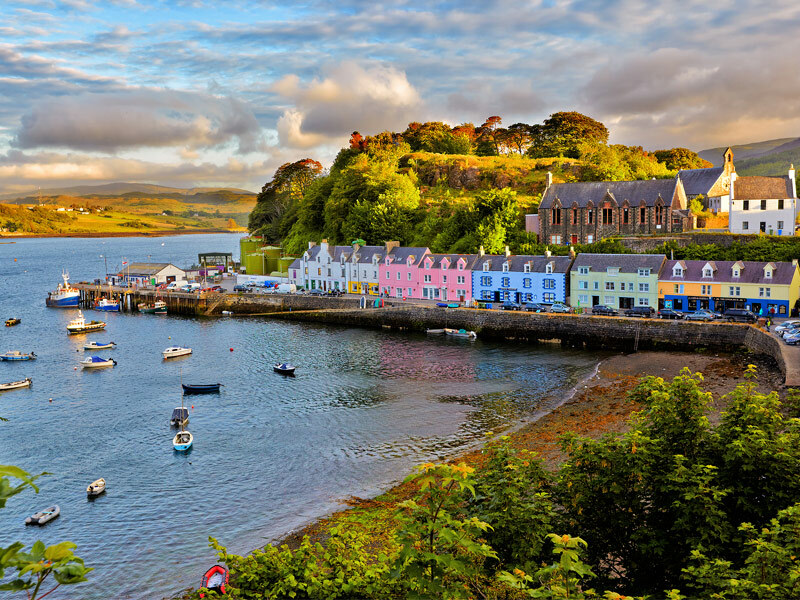 Portree is the largest town on Scotland’s Isle of Skye, a bustling port as well as a thriving cultural center, though the population is less than 2,500. It’s one of the best places to base your stay if you plan to explore this incredibly scenic wild region, due to its close proximity to some of the most breathtaking and unique attractions, including rock formations like the Old Man of Storr, Kilt Rock, and the extraordinary pinnacles of the Quiraing. Portree is only about 200 years old and was created as a fishing village at the beginning of the 19th century by the then Lord MacDonald. 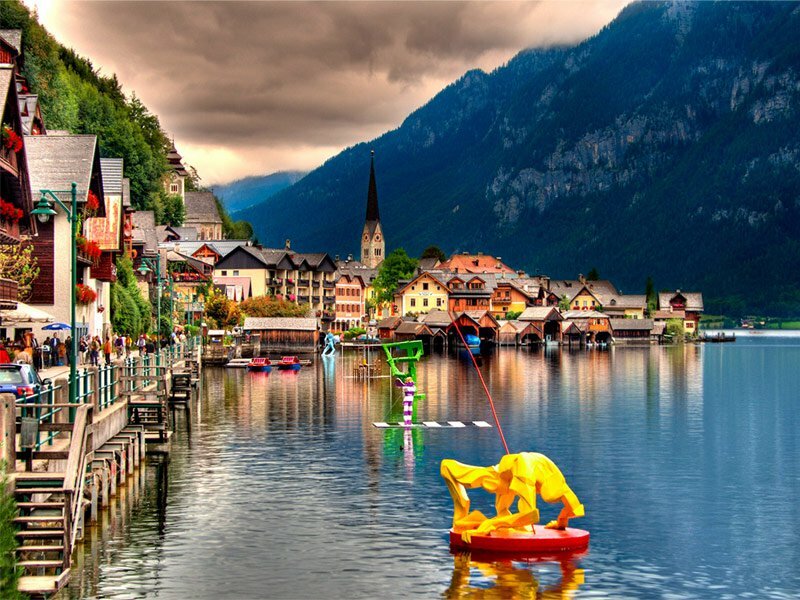 Hallstatt is one of Austria’s oldest settlements, originally founded in 5000 BC. 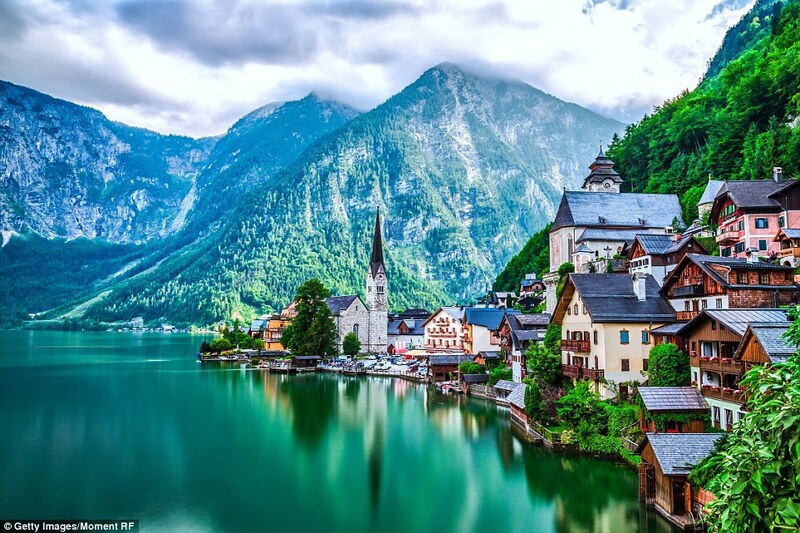 Thousands of years of salt mining translated to enduring prosperity for Hallstatt, which can be seen in its beautiful square ringed with ivy-covered buildings. The town still mines salt, but it is also considered a treasure trove of human history and one of Austria’s most picturesque towns, with its gorgeous setting on the bank of the Hallstätter. 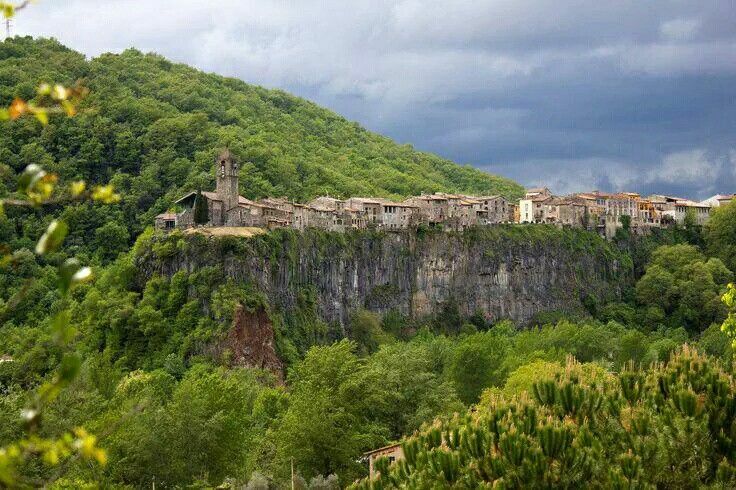 Located on Spanish Mediterranean Coast, the Castellfollit de la Roca is medieval village that sits dangerously close to a volcanic rock cliff that offers superb and unforgettable views. This Catalonia village is proud of it heritage that dates as far back as the Middle Ages. #5 is not Mikulov but is instead the town of Loket. Thanks for this list of wonderful destinations. A lot of places to put on my bucket list. Amazing Places to Visit Around the World. Breathtaking!! !